On occasion of the World Day of Social Justice, the Egyptian Initiative for Personal Rights (EIPR) released a set of data, in form of several graphs, showing how inequality between the rich and the poor in Egypt has peaked in terms of spending and wealth distribution. Based on official expenditure and income data from the Central Agency for Public Mobilization and Statistics (CAPMAS), Egyptians have been placed into two categories: the richest 10 percent and the poorest 10 percent. The results found that the richest Egyptians spend 70 times more than the poorest 10 percent. 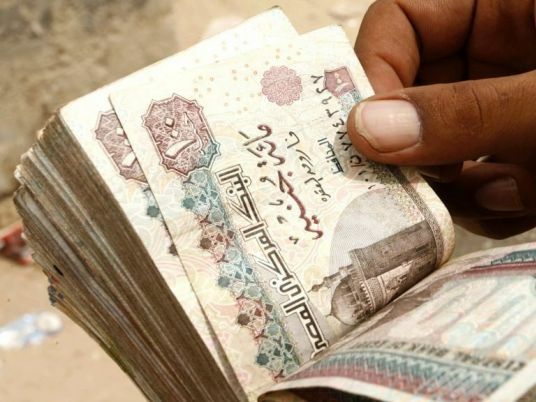 In July 2016, CAPMAS said an Egyptian family that spends LE 60,700 annually (nearly LE 5,000 per month) is considered among the richest 10 percent of Egyptians, while the poorest 10 percent of Egyptians are those who spend LE 3,300 annually (LE 277 each month). Moreover, EIPR data showed a larger spending gap between the rich and the poor in urban areas than in the countryside; for instance, the expenditure of the richest person in a city accounts for 100 times more than the poorest person. On global basis, the graphs show that Egypt ranked as the eight worst country in terms of wealth distribution, as the wealth is mainly in hands of a small portion of Egyptians, according to Crédit Agricole (Suisse) results. “The richest 1 percent of Egyptians own half the wealth of all the Egyptians, according to 2014 data. This group used to have one-third of the total wealth in 2000,” the data said. The CIB said that though there is a decline in empolyee incomes from the GDP, there has been an increase in per capita profits. "Employee incomes have been shifting towards the capital, and the growth achieved by the company was transformed to big superprofits instead of salary increases which caused wages to decline 25 percent and remain at this rate," the CIB said, according to EIPR data. According to the data, Egypt spends less money on education and health than Jordan and Tunisia. Egypt spends just 1.4 percent of its GDP on the health sector compared to 3 percent and 1.7 percent in Jordan and Tunisia respectively. It spends 3.6 percent on education compared to 3.8 percent in Jordan and 5.7 percent in Tunisia. The Egyptian Constitution of 2014 allocated 4 percent of the GDP to be spent on basic education, 2 percent on higher education and 3 percent on the health sector; however, according to the official data from the Ministry of Finance and CAPMAS, the country never reached this target. The EIPR data shows a huge disparity between spending on health and education in Egypt by the rich and the poor. The graph shows that the richest 10 percent of Egyptians spend 40 times more on health and doctor visits than the poorested 10 percent of people do. "Due to poor governmental spending on low-quality education, the results found that each Egyptian family keeps LE1 from every LE 10 to spend it on education; however, the richest 10 percent spend 20 times that much on education, compared to the poorest 10 percent,” the data said.